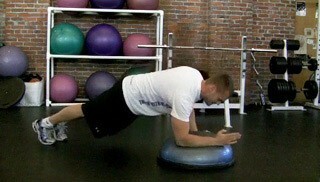 Start in a plank position on the Bosu and explode up into a push-up position. Lower yourself back down into a plank position. Explode back up then lower yourself back down on the other side.